How to get rid of dark and thick hair on your hands? Effective methods. Home / beauty / Long, dark or thick hair on his hands - how to get rid of them? Long, dark or thick hair on his hands - how to get rid of them? Not all nature has endowed women with smooth skin of hands. Most often our hands are present in a small amount of fine hairs or fluff barely noticeable. But what if in the hands of the hair is thick and long? Particularly relevant this issue in the summer when you have to hide the lack of long sleeves. What are the ways women get rid of hair on your hands? See a list of the most effective folk remedies for unwanted hair on the body. Why hands grow dark and long hair? Impaired activity of the sebaceous glands. The emergence of various skin problems. 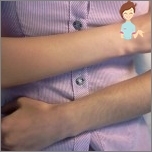 The active growth of dense and long hair throughout the body (hirsutism). Therefore, if the hair on his hands began to actively grow without apparent reason, it makes sense pass inspection and eliminate diseases such as ovarian oncology, diabetes or thyroid disease. In general, to deal with its hormonalbackground. If the hormones you have everything in order, and hair spoil the mood on the hands and cause discomfort, it is possible to get rid of them one of the most popular and effective methods. Traditionally, the most popular method - shaving. The machine removes hair quickly, painlessly, butbriefly. Disadvantages of the method: the bristles, which appears after a couple of days. And each time the hair will grow faster, and more stringent. It is unlikely that the result will like you and your other half. As a result, you have to shave your hands daily. Cream for hair removal. Simple, fast, painless, convenient. But ... also only a couple of days. Some women "lucky", and after a few hair stops growing procedures in general. But it is rather an exception. Most often, further thicken hair and the bristles is different from the one that occurs after shaving. Another significant drawback - an allergic reaction that often occurs on the components of such creams. Waxing. This method will remove these drawbacks two weeks(Sometimes more). Minus - painful procedure. If you have a pain threshold is high, it will not be easy. In other cases, hot wax and wax strips - it is an effective tool. Another drawback of the method is a wax that for best results, the hair should grow at least a few millimeters (at least four). Otherwise, the hair simply can not be removed entirely. And this, unfortunately, says that some time will have to hide your hands long sleeves. epilator. Removing the hair together with hairbulbs. The result - smooth skin for a month, maybe more. Choosing a modern model of the epilator, you can remove the hair is less painful, with features such as massage, cooling, stretching the skin and ingrown hairs, etc. can not be afraid -. For the skin of hands is extremely rare. Read how to get rid of ingrown hairs.Poetomu Red dots and inflammatory processes also should not be. Minus one: For most women, hair removal epilator - is torture. Laser Hair Removal. The most effective way. Hair removed permanently or for a very long time. Of course, provided that you find a good specialist. Because otherwise you run the risk of burns or unwanted skin pigmentation. Less - cost of the procedure. Photoepilation. The method is absolutely painless and non-invasive. Hair removal for a very long time. Disadvantages: cost; It may require multiple procedures. Bleaching (Lightening). Do not delete, but effective disguise. 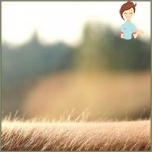 The meaning of the method - in hair thinning that gradually become completely invisible. Benefits: the skin after the procedure - more delicate and smooth. 3% hydrogen peroxide. Wipe your hands on a daily basis. 10% gidroperit. In tablets (at a pharmacy) or clarifier (from the set with a hair dye). For clarification of hair missing a single procedure. Do not forget to test the vehicle on an allergic reaction to the dye. Chamomile. Buy dry chamomile pharmacy, brew up a dark color. Wipe hands for a few minutes every day. 30% hydrogen peroxide ammonia + (Two capsules). Dilute peroxide, one by one, leaving fifty ml, add ammonia. Then add baking soda (a teaspoon). Mix, test for skin sensitivity, apply for an hour, rinse and moisturize the skin cream. What helped you get rid of hair on your hands?